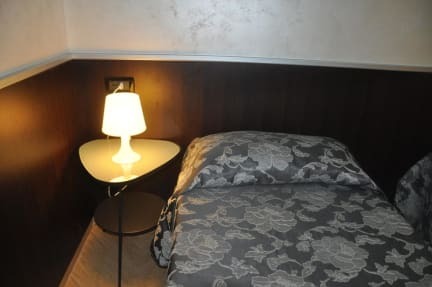 We are located at only a few steps from the central station Termini and within an easy walking distance from the main Roman attractions such as the Colosseum, the Spanish Steps, the Trevi Fountain and much more. Moreover, within 20 minutes walking you will be able to reach the Vatican, Vatican Museum and Sistine Chapel (15 minutes by bus). 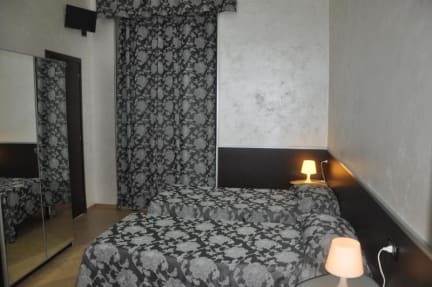 We offer spacious and cozy private, double, triple and quadruple rooms as well as dormitory rooms, with and without private bathrooms. Each room has personal electronic safety box, TV and Free WiFi. You can also use our internet PCs for free in our internet cafe located just at the corner. we do have age restriction 40 years for shared room. we don't accept groups larger than 10 people. We reserve the right to cancel your reservation. General: No curfew. Non smoking. Reception available from 08:30 to 24:00. My brother and I had a wonderful stay at the funny inn hostel. The Funny Inn was great. We were taken care of right away by staff. He upgraded our room for free due to space available. He showed us how we could do Rome in 2 days, which sites to see on which day including tips on how to skip lines. Our room was great and clean and the wifi was fast. I have no complaints with this hostel and would recommend it to anyone visiting Rome. Only stayed 1 night but the bed was comfortable, free coffee and pastry at the cafe round the corner was good. Close to Termini station which is very helpful. Staff are friendly and very helpful with talking you through how to get around Rome. Would recommend. The toilets were extremely unclean. There was no cold water supply for almost 2 days. After repeated complaints, the manager took heed of the issue and there was cold water supply the day I was leaving.